Rampart is a remote temporary health clinic that treats an average 2,000 patients a week and serves as the primary emergency medical center for Burning Man’s Black Rock City. Located two hours from definitive care, the facility includes a critical care unit, primary care bay, and laboratory and x-ray services. The clinic has traditionally used on-site generators to meet power needs. Rampart’s annual set-up and demobilization mirrors health resource deployment for disaster relief and refugee services. 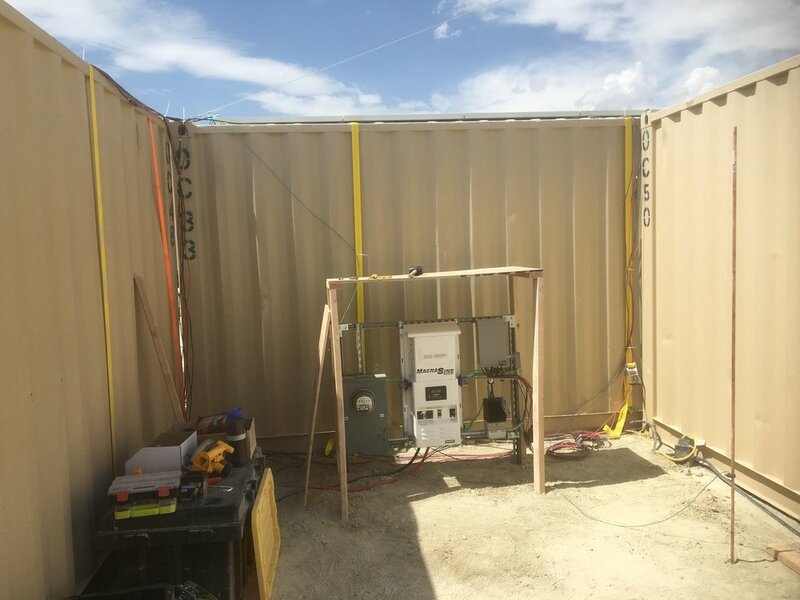 It provides a unique environment to test innovations in semi-permanent, renewable power systems for emergency medical systems in a controlled setting. We apply the lessons learned from deploying renewable microgrids at Rampart to bring sustainable power to those who need it most. For our flagship project, Footprint deployed a 3kW mobile solar array with 10kWh lithium ion battery storage to offset diesel use. The system powered the clinic’s lighting and refrigeration. Building off our successful 2017 pilot project, volunteers returned to the desert to deploy 3kW of traditional solar panels, a 1.8kW thin-film solar shelter and 10.8kWh of storage. The system powered lighting, refrigeration, aircon and outlets for the medical triage site.